More than 300 youth and adult leaders from approximately 30 countries, including Azerbaijan, will gather in Baku, Azerbaijan September 24-28, 2018 for an inclusive Global Youth Leadership Forum. The forum will usher in a new era of youth-led social impact projects under the Special Olympics banner worldwide. The five-day forum has the full backing and support of the Azerbaijani government and will train and empower attendees to create more inclusive communities in their home countries. Special Olympics Azerbaijan President, Shahin Aliyev said the forum promises to be a great event for all participants: “As we all know, 2018 is a jubilee 50th anniversary for the global Special Olympics movement. Special Olympics Azerbaijan has been committed to this movement for 25 years. Being a member of Special Olympics is a great joy and honour for our athletes, coaches, volunteers and families in our organisation. “Special Olympics Azerbaijan will make every effort to ensure that the forum is held to the highest level and all participants leave Baku with good and positive memories,” he added. Founded in 1990, Special Olympics Azerbaijan today has approximately 5,000 athletes training and competing year round. Over five days, the attending leaders who drive the Special Olympics movement will be provided with the tools, knowledge, and resources needed to execute their vision of inclusion in their communities, and lead projects that will transform schools, communities, provinces, states, and countries into centres of inclusion. The forum will also train adult leaders in methods and techniques to integrate and support the impact of these inspirational young leaders. The forum coincides with a year-long set of celebrations planned to mark the 50th anniversary of Special Olympics. It will also launch a global plan to promote youth engagement, inclusive sports and inclusive education practices for the next 50 years of Special Olympics. 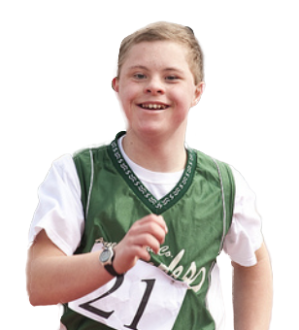 Over the next five years, Special Olympics aims to expand its inclusive sports and education models – Unified Sports and Unified Schools – which bring youth with and without intellectual disabilities together through education and sports to create school communities of acceptance and respect – to 40,000 schools worldwide. “We look forward to engaging thought leaders, young leaders, cultural icons, and thousands of schools worldwide with the aim of harnessing the great potential youth has to to fostering inclusion in and out of the schoolyard. Baku will be the perfect launchpad for this groundbreaking project and its legacy will be a long and fruitful one,” said David Evangelista, President and Managing Director, Special Olympics Europe Eurasia. Following the signing and as part of the forum's legacy, Special Olympics Azerbaijan and the UNFPA (United Nations Population Fund) signed an agreement to develop inclusive sports for girls in Baku-Absheron.